Trade equities, options, futures, and forex on your own personal trading platform, powered by insights and education to help you nail even the most complex strategies and techniques. "It has a steep learning curve but the support is available"
The flexibility of the platform is what I like the best. I can create just about any view I need to track and manage my stocks. I originally downloaded it to use the paper money feature but then decided to use it for my actual portfolio because I found it easier to use than the default screens. I have a hard time searching through all the support media to find what I"m looking for. I don't have the time or money to spend on hours of investment training. While i can find how to use the tools on the interface very easily. It is difficult to understand what they are used for. The live webinars and the swim lessons are held during work hours so I can't watch them. I can't seem to find them in the overwhelming support documents. I find this platform easier to use than my account interface even though I don't understand all the investment tools it has to offer. It's an excellent platform if you know what you are doing and there is a lot of support to learn how to use everything if you have the time. It's not that great if you don't have hours to spend with it. I use this to track my own portfolio. I don't use it for business. "The trading platform from n00bs to G33k5"
I love that they take their mobile app as seriously as their desktop app. I have been using ToS for at least 9 years and have closed most of my other accounts in other platforms by now. Their desktop app is awesome, and I love the ability to arrange the windows in pieces. Their mobile (iOS) app on phone and iPad are intuitive and I can use my iPad as reliably as a desktop trading station. I love that there is an API to interface with so I can run my own bots. There has not been much to dislike. Every time I think of something, it has been introduced in future versions. Sign up for a free paper money account and do your own test trading. What Brokerage Trading Platforms solution do you use? Being able to research trades, stocks, and potential investments. Being able to trade stocks and options. Customizing charts and theme of the software is a plus. Real-time updates and news. The graphical interface could be updated but not a big issue as it's still very customizable and doesn't look bad. Recommend this software for its research capabilities and one of the best trading platforms with regular updates. Being able to research ideas and potential trades. Having charts and real-time stock prices in front of my eyes to make better decisions. I love that Thinkorswim is completely free for Ameritrade customers! Their advanced stand alone platform has all the bells and whistles for serious traders. The ability to customize and chart according to your needs is beyond any competitors. The only downfall is because it has all the bells and whistles it can take you a while to learn. If you are not familiar with all the tools it will be quite intimidating and you won't want to spend the bulk of your time trying to learn. Thinkorswim provides me with the ability to move money around as I see fit when I see fit. If you are familiar with the trading work there isn't a better tool than thinkorswim. It's advanced charting features has helped me see trends and patterns I never would have been able to see on a regular trading platform. thinkorswim brings all you need for intermediate to advanced investing (ETFs, mutual funds, single-value stocks, etc.) They have great rates and low commission fees along with helpful investment analysts available over chat. There are a few bugs in the app that don't allow sync charts to always show up in the order that you last left them. Occasionally, the app will log you out (idle time-out) and that can be annoying. Consider this product if you have experience investing and can give TD ameritrade a try. I use thinkorswim primarily for personal investing. Occasionally I can use the app to show friends or colleagues some of the neat features of thinkorswin compare to other platforms. "Great for the Advanced Trader!" Thinkorswim offers truly everything an advanced trader would want in a platform! Investors can use scanners to filter stocks and options, view heat maps, use the company profile tool to analyze revenue and predict how it will affect returns, and access extensive third-party research. Thinkorswim is really for advanced traders and if you are a beginner it can be rather confusing. Some traders could be overwhelmed by the level of information and tools available and will feel more comfortable with a more streamlined platform or even the company’s standard web trading platform. It allows me to closely monitor the market, strategize and trade all in one central location. "The ultimate trading platform in the past of your hand." The ability to quickly create trades with varying order types and manage stock alert based on numerous metrics. The interface can take time to get used to. If you are an on-the-go trader, this is a must use app. I am now able to trade on the go effectively instead of having to remain in my office at home. That flexibility has helped me tremendously. "An excellent platform with valuable tools for any trader"
Definitely the access to Bloomberg and CNBC. I don't have cable, so it's great to be able to be kept in the loop. Also great for checking broad indices. The platform is very dark. Not a huge fan of the main dashboard; not very intuitive. Also, does not work well with my surface pro 3. Do not use if you're a novice trader. You are better off going with a simple, commission free platform like Robinhood to learn the ropes. It's just nice to be able to keep up and know what's going on with the markets, and monitors performance of my account, all in one location. "Inuitive, reliable software for running analysis"
The ease of use to put programs and analysis of stocks I am looking to invest in. The learning curve to use the software is a bit of a hassle but once it's figured out it is an easy journey to learn about stocks. Be sure to watch all the introduction videos and the tips listed throughout the interface. It will 100% benefit you and provide an easy start into using the software. We've had difficulty training employees but as noted in the previous response it is easy once they've been able to fully figure it out. I love that when I;m ready to invest i get a cash bonus, i have several options to choose from and no account minimums. I wish that there were more colors and the words were a bit larger. The page when logging in are too slow at times. It's a great tool to get started. I highly recommend. Since the company i work for is using the program I havent solved any problems yet. I will be sure to be on the lookout and hope to get a problem soon. Live updates, news, and stock and option trading. Charts are also highly customizable. Updates in real-time and also available in mobile for iPhones and Androids. Could use a new color theme but the current theme is still customizable with several colors available. Not much other downsides to note. Highly recommended for any active trader or for investment research on stocks or ETF's, etc. Very user friendly and software is very customizable to your needs. Ability to study and research before placing trades or new investments. "Best options and futures trading platform"
"Great Trading Tool - Easy to Learn"
Best things are that you can trade up 120 different currency repairs. You can set up multiple watchlists and alerts, it gives you everything necessary needed for a quality platform. There are no specific webinars or vlogs available. They also charge a relatively high commission. 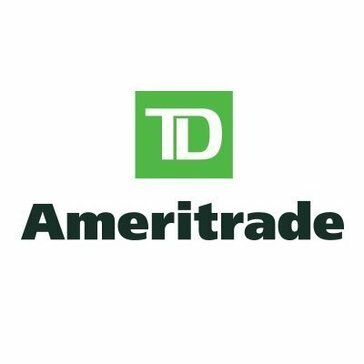 We would use thinkorswim for our investments through TD ameritrade. While using, it was relatively beneficial and well put together. "Generally simple, easy to understand"
Easy to understand, convenient interface great even for novice in the industry. Interface is simple but process can be intimidating. Trading opportunities, staying on top of accounts. "Traders Who Demand The Bestest"
That you can check stock information make trades and manage your account from your mobile device, giving you the freedom to take care of your investments from anywhere in the world. "Thinkorswim, greatest trading platform there is! " The tools available on the platform. Support team is also great. Occasional lag. Experienced 3x times this year. Everything on this software is great. There is a learning curve, but once you get used to it, it is amazing. "Thinkorswim is great for amateur stock trading"
Loved using this platform for trading stocks. The platform provided accurate live data as well as great candle stick charts. I didn't like the complexity of the program. I wish there was a tutorial mode which showcased the features of the platform for easier use. This software is very user friendly in my opinion. One of my favorite features is that a chart can be detached to make it a full screen. I think because there are so many options customizations, it can be overwhelming. This software offers a wide variety of trading and investment tools. I like best the option of creating your own indicators for trading based off technical analysis. I dislike that there are not preset time series plots. It is easy to analyze a stock from a technical perspective and well as keep track of multiple things at the same time. Trading on the go is the best thing about it. "Good trading platform . " Good service with great trading tools and independent research sources. Educating you about investing in the stock market through web resources and live seminars. Helps guide my trades pretty well. Thanks. Somewhat time-consuming compared to just using index funds. * We monitor all thinkorswim reviews to prevent fraudulent reviews and keep review quality high. We do not post reviews by company employees or direct competitors. Validated reviews require the user to submit a screenshot of the product containing their user ID, in order to verify a user is an actual user of the product. Hi there! Are you looking to implement a solution like thinkorswim?